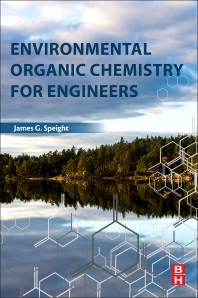 Environmental Organic Chemistry for Engineers clearly defines the principles of environmental organic chemistry and the role they play in forming remediation strategies. In this reference, the author explores parameter estimation methods, the thermodynamics, and kinetics needed to predict the fate, transports, and reactivity of organic compounds in air, water, and soils. The book's four part treatment starts with the classification of organic molecules and physical properties of natural organic matter, halocarbons, phenols, polyaromatic hydrocarbons, organophosphates, and surfactants. An overview of remediation technologies and a discussion of the interactions that lead to physical properties that affect chemical distribution in the environment is also detailed, as are the important reaction classes of organic molecules, including substituent effects and structure and activity relationships found in Part Two and Three. Part four is devoted to the strengths and weaknesses of different remediation technologies and when they should be employed.